A 90 degree dogleg left with out of bounds all the way on the left. The long hitters are tempted to cut the corner but the height of the trees and the long carry require a well struck shot. 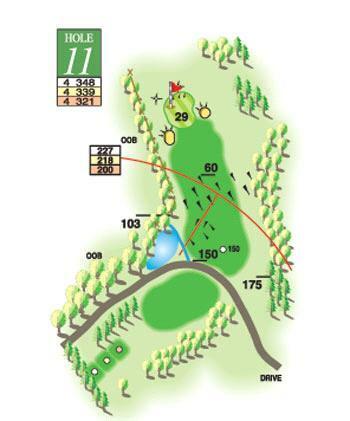 There are bunkers to the front left and right of a green which has the most subtle borrows of all the greens on the course.